If you have every looked at some of the large koi ponds on display in gardens or special exhibits at animal parks, you have probably noticed that these fish come in a variety of different colors. A pond full of these lovely creatures in various colors is definitely a spectacle that can take your breath away. It can be exciting to take a look at all the koi fish colors. If you’re designing a pond of your own to fill with koi, you can check out the many colors and then decide on the colors you’d like to combine together within your own pond. 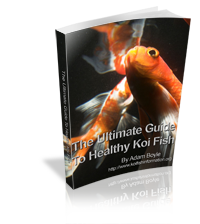 You probably are not aware of the many different color combinations out there so here is a look at some of the most common koi fish colors. When you’re interested in koi fish colors, you’ll find that the Bekko are marked in a great way as well. The translation of the name is “tortoise shell,” and these fish can be red, yellow, or white. They also have various black markings. The most common of the koi fish colors is named the Kohaku. This type happens to be white and red, which is the very meaning of their name. 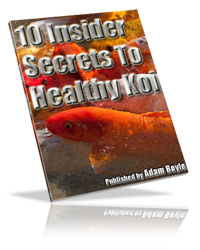 These colors in koi are known to be symbolic of career success. Few koi are only one color, but when it comes to koi fish colors, the Matsuba are simply one color. The defining characteristic of this type is the scales that look similar to a pinecone in design. Ogon koi are a beautiful silver color that looks metallic. Because of the metallic look, these fish are known to be symbolic of great wealth. This shiny, metallic looking type of koi is a popular choice, especially in places of business. As you look at various koi fish colors, you’ll find the Karasugoi to be absolutely stunning. They have a lovely orange belly and the rest of the fish is black. They definitely add something special to any backyard pond. Butterfly koi are a special type of fish that are bred together with the Asian carp to get their unique shape. The color of this type can vary, depending upon the koi type that is used when being bred with the carp. Their main beauty comes from the flowing, long, feathery fins that are so attractive. Having several of these fish in a few different colors adds elegance to a collection of koi. The name, Utsuri, is basically a word in Japanese that literally means “print.” The reason that this name is used is because the markings on these fish come in red, white, and black, but they look a lot like an ink stain. This is why it has such a unique name and the fish definitely have a unique appearance as well. Black and red are combined together to make the Showa koi. The body is black but the markets are red and there are a few white markings as well. With this type of koi, you’ll find a couple variations of the koi fish colors. One of the variations is black spots on a white body. The other variation of this fish is one that has a body that is totally black. Change and transformation is what these fish happen to symbolize. The Kuchibeni are often called “lipstick” koi because they have red all around the mouth, making it look as if it has lipstick on. They also have white on them. These lovely red and white fish symbolize love as well and they are a gorgeous type to add to any koi collection. Last, you have the Yamabuki, a type of koi that is all gold. It’s little wonder that this color of fish ends up symbolizing wealth and riches. These are just a few of the most popular koi fish colors. However, there are many other color combinations out there to consider as well. Now that you know a bit more about the various colors available, you may want to come up with the ones that you want to add to your own pond.